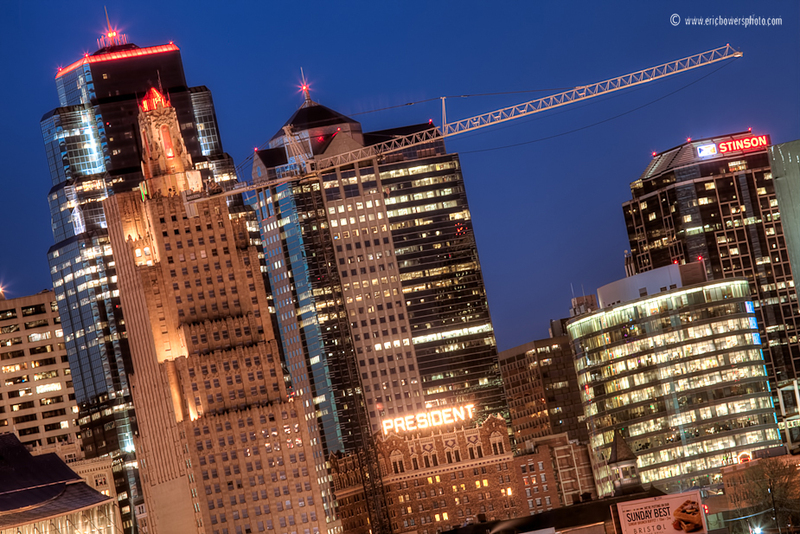 I was asked by a local client to try and duplicate a previous photo I took last summer that at the time had more cranes in the foreground working on the Kauffman Center construction. Now there’s a demand for shots with the cranes gone, although one remains in these shots it is not very prominently seen. The first shot above is my attempt to duplicate last summer’s photo as precisely as I could figure out how. It helped having my iPhone to view the original on the screen from my own site and compare with the display on my camera as I composed this shot. I took a couple extra shots as well while the lighting was good, seen below. 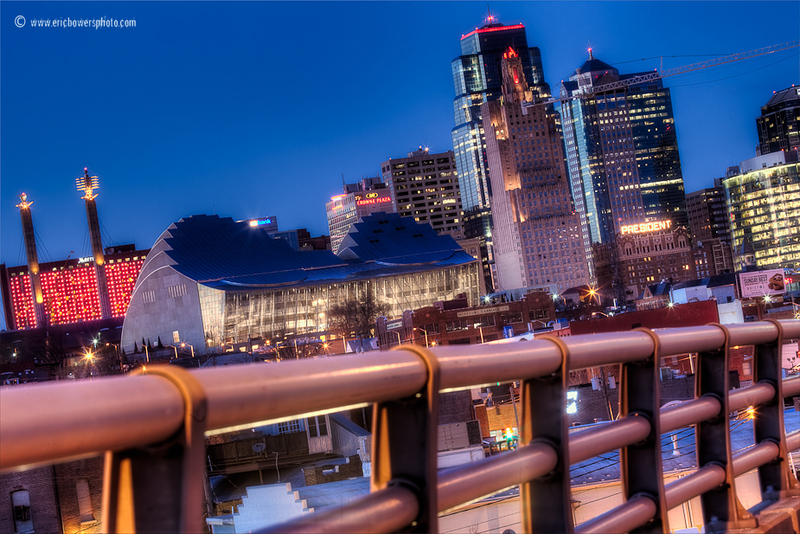 A bit of the downtown skyline from late last year. I had forgotten about this photo and didn’t edit it until Monday afternoon. 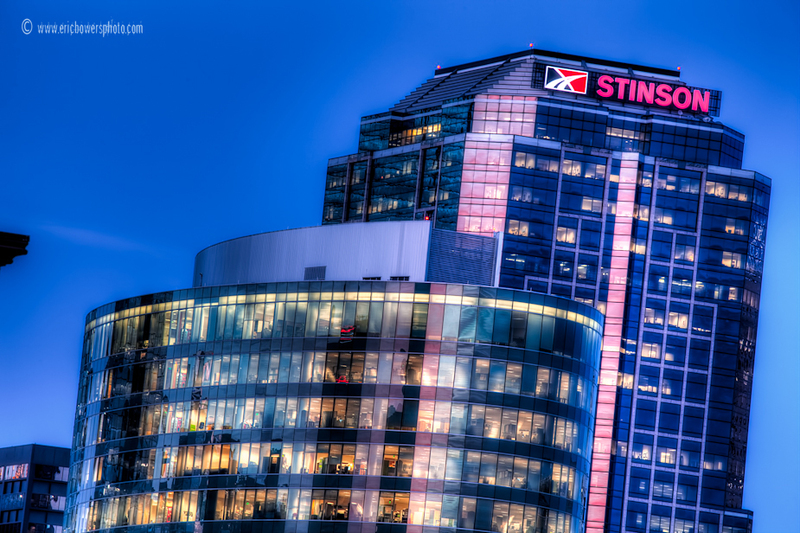 A couple weekends ago I spent some time at sunset inside The Link for the second time this year getting sunset shots looking outward from the edifice toward the streets. In this, Union Station is at left with Crown Center at the right. 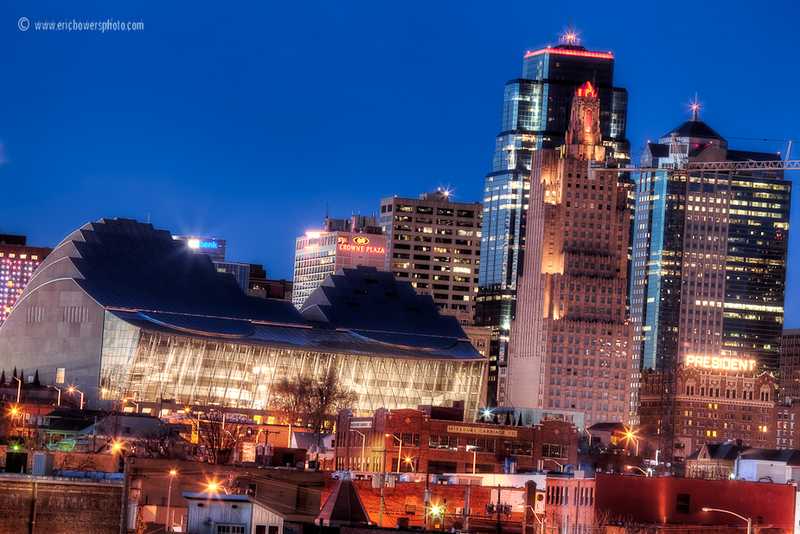 Kansas City, Missouri. February 12, 2011. 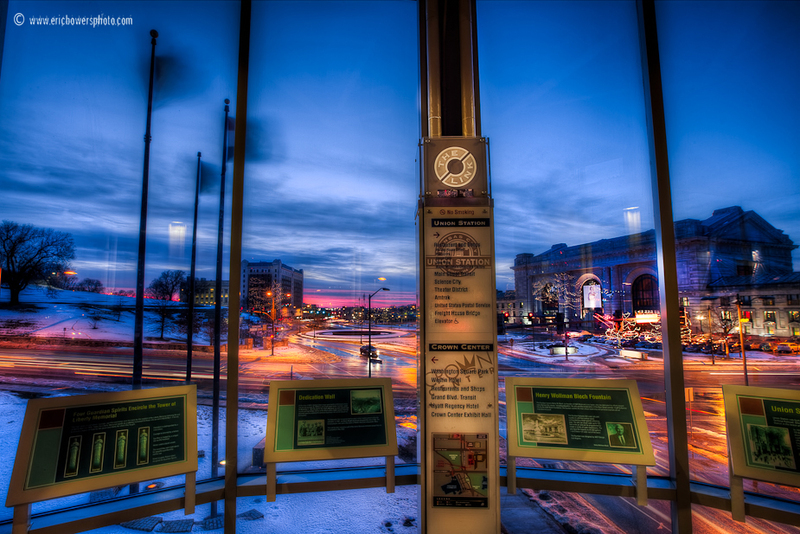 This is the third of my five shots from The Link last Saturday near Union Station at Crown Center. 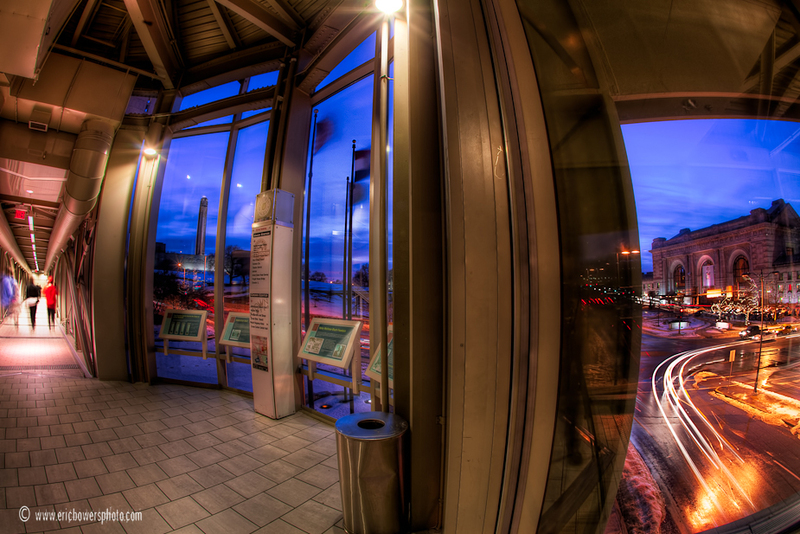 With this fisheye lens angle through the windows we can see both Union Station at the right, some flags, and Liberty Memorial up the hill, and a tunnel with people thrown in for good measure. 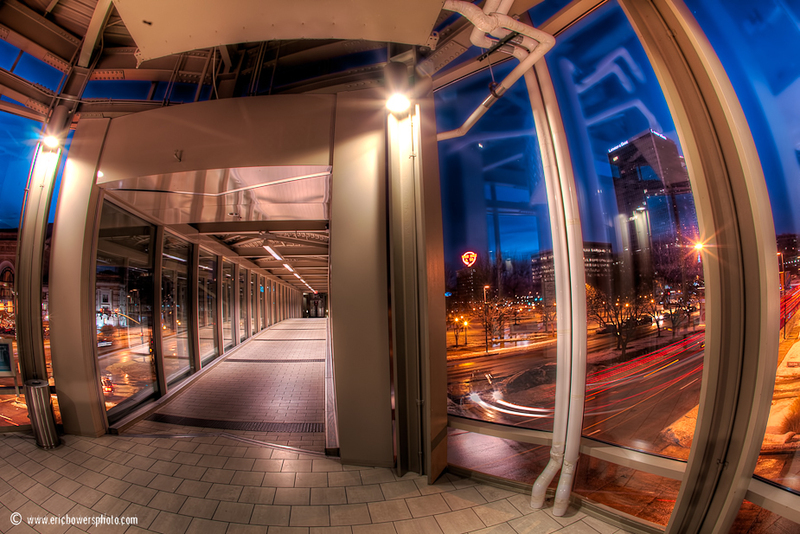 I returned again to The Link skywalk over Pershing and Main at Crown Center on Saturday evening for more photos. I collected five total I want to post, this one being the first. Two were with my standard wide angle lens, as this photo above is, and three more were taken with my fisheye lens. Both work great inside a skywalk looking from inside out.